Keeping a closet organized can be challenging, especially when some items don't have a designated place to be stored. 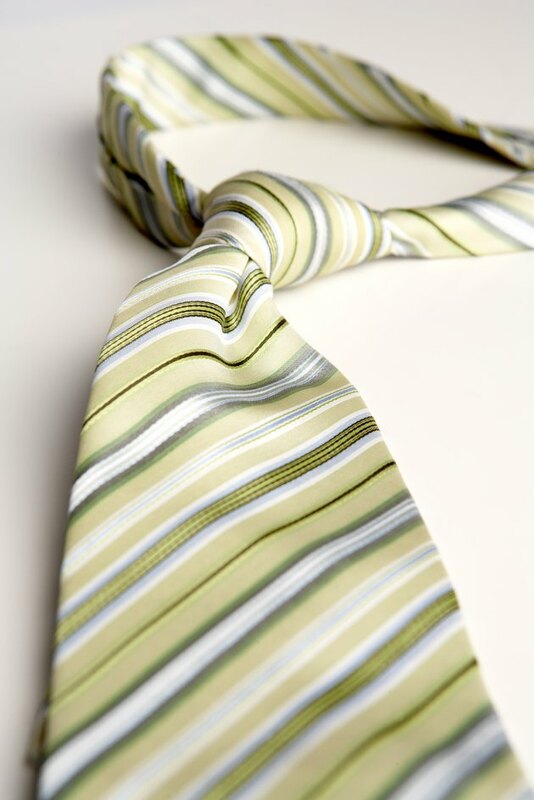 Ties and other accessories are often overlooked when setting up a closet space. Instead of rolling up your ties and placing them in a drawer or hanging them on a hanger, you can build a tie shelf. Include several wooden pegs to hang individual ties from below the shelf, and place tie boxes and accessories such as tie bars neatly on the shelf. Build a tie shelf to keep your ties and accessories well organized. Place the 1-by-8-by-32-inch board on a work surface with the 8-by-32-inch side flat. Orient the board lengthwise horizontally on the work surface. Measure 1-inch up from the bottom 32-inch edge with a tape measure and mark the measurement with a pencil. Pull the tape measure across the 32-inch edge of the board at the 1-inch mark. Mark off every 2 inches along the length of the board with a pencil mark, 1 inch up from the bottom edge. Drill a 1/2-inch-deep hole into the board at each 2-inch pencil mark on the drill press, using a 1/4-inch drill bit. These are the holes for the wooden pegs. Dab wood glue into the drilled holes and onto the ends of the wooden pegs. Insert the ends of the wooden pegs into the drilled holes. Allow the glue to dry for 24 hours. Position the 1-by-4-by-32-inch board on top of the 1-by-8-by-32-inch board. The 1-by-32-inch edge should be flush with the 8-by-32-inch side. Place the bottom 4-by-4-inch edge of the board 2 inches above the pegs. This is the shelf board. Turn the assembly over while holding the shelf board in place. Drive wood screws through the back of the 1-by-8-by-32-inch board into the shelf board to secure it in place using a screw gun. Place one heavy-duty hanger 2 inches down from the top edge of the back of the 1-by-8-by-32-inch board. Locate them 6 inches in from each end. Drive the screws included with the hangers through the mounting holes into the board with a screw gun. The hangers will allow you to hang the shelf assembly on the wall from screws or nails. Apply two coats of wood finish to the shelf assembly with a paintbrush. Allow the first coat of wood finish to dry 4 hours and apply the second coat. Do not handle the assembly until 24 hours after applying the second coat.